This price is only good for today so act fast. Wireless over-ear headphones are an awesome way to listen to your tunes on-the-go, especially if you have an iPhone or an Android phone that's missing a headphone jack. 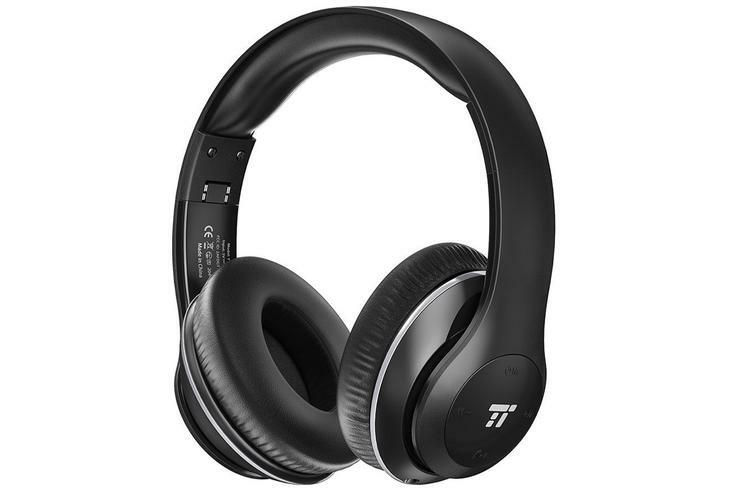 The prices vary from affordable to outrageous, but today you can grab an over-the-ear pair from TaoTronics for just $25.49Remove non-product link, down from a list price of $40. These headphones are designed for comfort, with memory foam earpads and an adjustable band for a customizable fit. Dual 40mm drivers and an EQ bass setting allow you to turn up the intensity of the lower sound range, while up to 15 hours of battery life per charge will keep your music going all day. For easy control, on-ear buttons allow you to adjust volume, answer calls, and navigate through tracks, and a built-in mic means you can take calls hands-free. Since these are relatively new to Amazon, they don’t have a ton of user reviews yet (though the ones that are in are positive), but based on reviews for other TaoTronics headphones, we expect them to be very popular and well-liked. We haven’t reviewed these headphones ourselves, but this price is just too good to ignore.